THE STORY - An account of President Barack Obama's foreign policy team during their last year in office. THE GOOD - “The Final Year” provides an illuminating look behind the scenes of the final year of the Obama Administration, and it carries extra power and sadness given the results of our most recent election. THE BAD - While the film effectively probes the interlocking relationship between members of Obama’s foreign policy team, it would have benefited from smoother editing. A feeling of impending doom permeates “The Final Year,” Greg Barker’s documentary about the last twelve months of the Obama Administration. 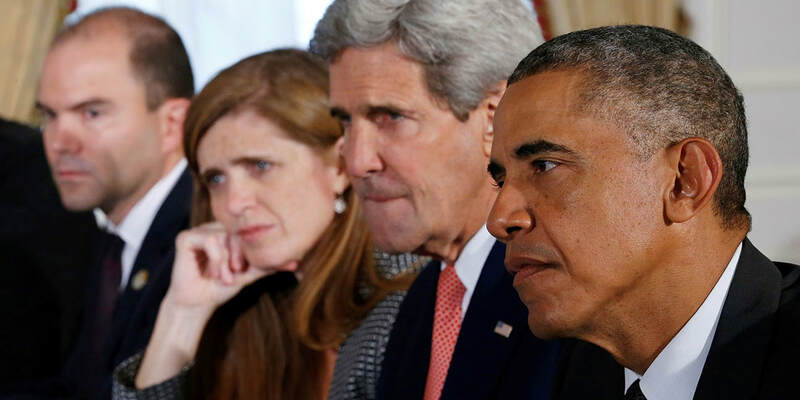 Barker focuses on four of President Obama’s top foreign policy representatives: Secretary of State John Kerry, Ambassador to the United Nations Samantha Power, National Security Advisor Susan Rice, and Deputy National Security Advisor for Strategic Communications Ben Rhodes. As the film chronicles the actions and reflections of these four public servants during their final year in the White House, one cannot help but feel deep pangs of nostalgia for a time in which basic humanity and competence served as the foundation of presidential decision-making. Throughout most of “The Final Year,” the election of he who need not be named hovers in the periphery, and when Rhodes and company do comment on the upcoming transfer of power, they do so with confidence that the nation will choose Hillary Clinton as Obama’s successor. But as the documentary marches toward that fateful night in November (the movie flows chronologically), the plot thickens, and dystopia looms. “The Final Year” would have been a compelling documentary even if the night of November 8th, 2016 had produced a different result. Barker involves us in the diplomatic efforts of Obama’s foreign policy team, and he provides a rare glimpse into the busy and consequential lives of those who work to effect peace and promote America’s global interests. He also makes shrewd use of his interviews and eavesdropping. When Ben Rhodes reveals the one question from the media that irks him the most, or when Samantha Power disputes the notion that foreign policy is a conflict between values and practicality, “The Final Year” exudes a fly-on-the-wall effect. It is a treat to have access to thoughts and actions that are normally kept from public view. There is no doubt, though, that the context of this movie’s release imbues it with a heightened emotional impact. The juxtaposition between the past and present administrations is loud and clear in “The Final Year.” Much of the power of Barker’s filmmaking is drawn from the sense that we are witnessing the end of not just a presidency, but the end of an era of leadership, the start of a terrifying epoch. The documentary suffers a bit from uneven pacing. The four subjects – five if you include President Obama, who becomes a more frequent presence toward the end of the movie – all have interesting stories, opinions, and experiences, but Barker’s transitions between the multiple perspectives are less than smooth. Susan Rice, for example, seems to receive only a small fraction of screen time compared to her colleagues. The varying amounts of time spent on each person is likely a matter of access; some may have been more generous and forthcoming with their time and recollections than others. Nonetheless, the editing is the movie’s weakest element. Barker makes up for this flaw, however, by including a riveting subplot about the “Team of Rivals” dynamic between members of Obama’s foreign policy team. Particular attention is paid to the occasional debates between Samantha Power and Ben Rhodes, most notably on the tone of Obama’s last address to the United Nations. In addition to peeling back the public layers of cohesion to discover something more contentious, the emphasis on these internal debates demonstrate the value of dissent and argument in the process of making important decisions. “The Final Year” is a tier below the year’s best documentaries (“Icarus,” “Faces Places”), but it is still an urgent and moving look back at a simpler, more noble time. Furthermore, “The Final Year” is a tribute to the complex day-to-day grind of governance. This is a movie that should be seen, regardless of personal political affiliation, because it shows the expansive global scope and logistical challenges of American foreign policy.